Today we were joined by three guest walkers: Mike, Lisa and my mother-in-law Barbie. We had been looking forward to this day with no small degree of expectation. It was the day where estuary turned to sea; we would leave mudflats and start walking along the coast proper. The day did not disappoint; my son announced afterwards that it was his favourite walk so far. 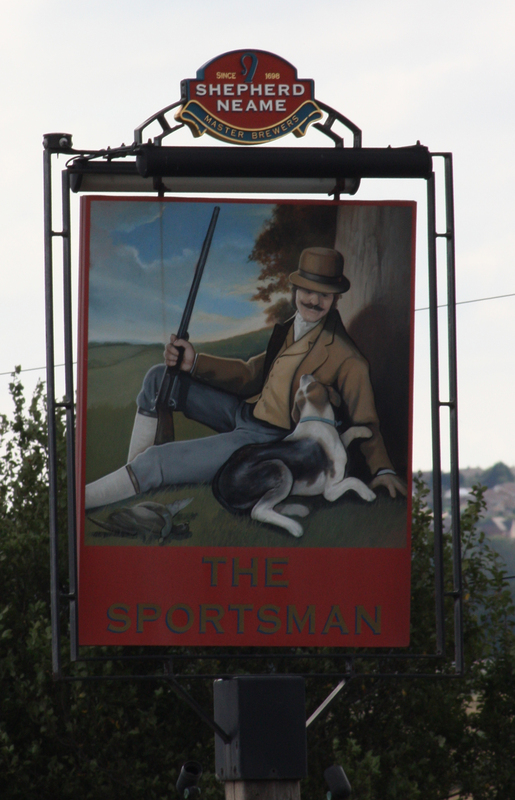 We started back at The Sportsman in Seasalter, near Graveney Marsh. I am very grateful to the Helpful Mammal for pointing out something I had missed about this place in my last post: it is the site of the last armed battle to take place against an enemy on British soil. On 27 September 1940, a Junkers-88 was engaged by two Spitfires over Graveney Marsh and crash-landed there. The closest men on the ground were a detachment of A Company, 1st Battalion London Irish Rifles, who were billeted at the Sportsman. They went out to take the crew prisoner and guard the wreckage. When they arrived, however, they found that the German aircrew had not yet given up the fight. Using two machine guns from the aircraft in addition to their issued firearms, the four-man aircrew engaged the Rifles as they approached. The Rifles immediately returned fire, and a detachment then crawled into a ditch to get closer still. The German crew surrendered after a 20-minute firefight. One of them had been shot in the foot, but that was the only injury of the exchange. The situation was not yet quite resolved. As they were taken prisoner, one of the Germans was heard to say that the aircraft would go up at any moment. The Rifles took this to mean it was booby-trapped. Captain John Cantopher, the officer in command of the Rifles, ran back to the aircraft and found an explosive charge placed under one of its wings. He removed it, and threw it into a ditch, winning the George Medal for this act of bravery. Of course, what he did not know at the time was that this particular Ju-88 was one of the newest in the Luftwaffe’s fleet and had only been flying for two weeks. Thanks to his actions, one of Germany’s newest bombers had been caught in-tact and could be thoroughly examined. This was a major coup for the British, and as a result the incident was hushed up. The crew were marched off the The Sportsman and given some beer before being taken off to a prisoner-of-war camp. The newspapers did not report “The Battle of Graveney Marsh” and the incident was largely forgotten. However, 70 years later in 2010, a formal service was held and a plaque unveiled in the pub, commemorating the event. We couldn’t see this plaque as the pub was closed when we arrived, so we set on our way towards Whitstable. We soon reached Blue Anchor Corner, named for the Blue Anchor Inn that stood here. Many human bones have been washed out of the beach here, indicating that this area was once the site of an ancient burial ground. We did not find much here today, save for an old scallop-shaped sign. I do not quite understand this, because Whitstable is famed for oysters, not scallops. 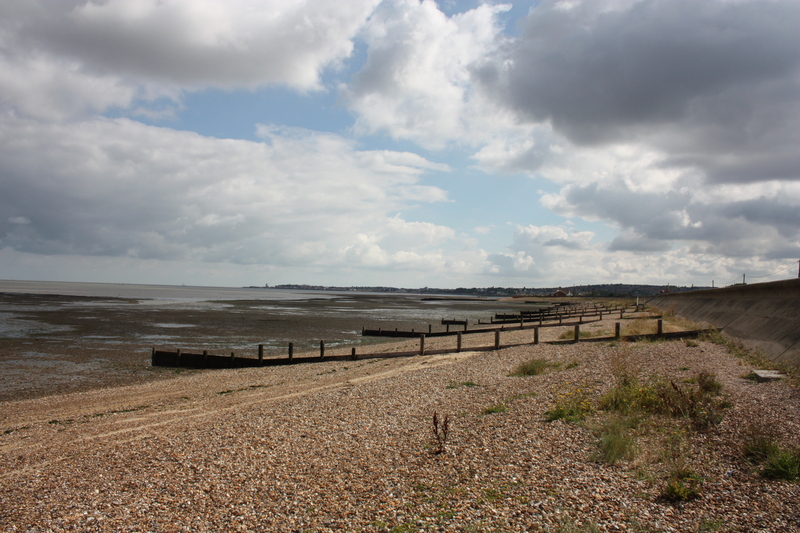 Oysters have been extensively farmed in Whitstable since Roman times. 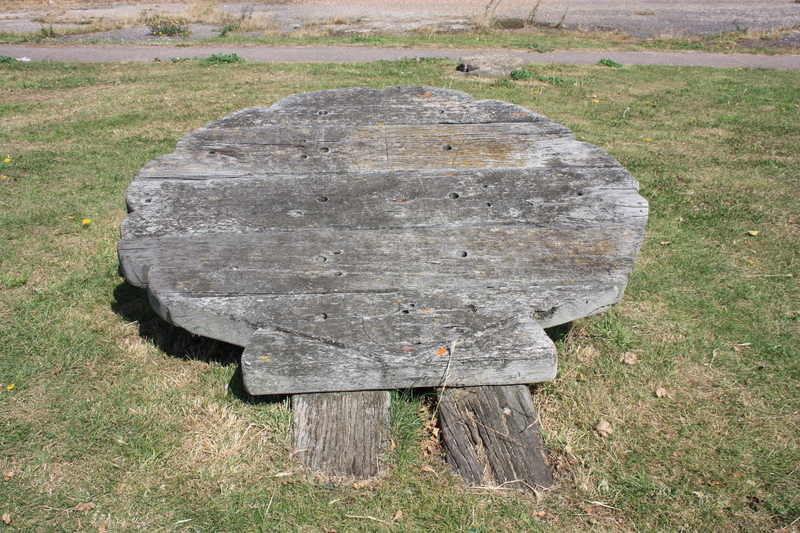 As we walked along Seasalter’s front, the town of Whitstable grew before us. 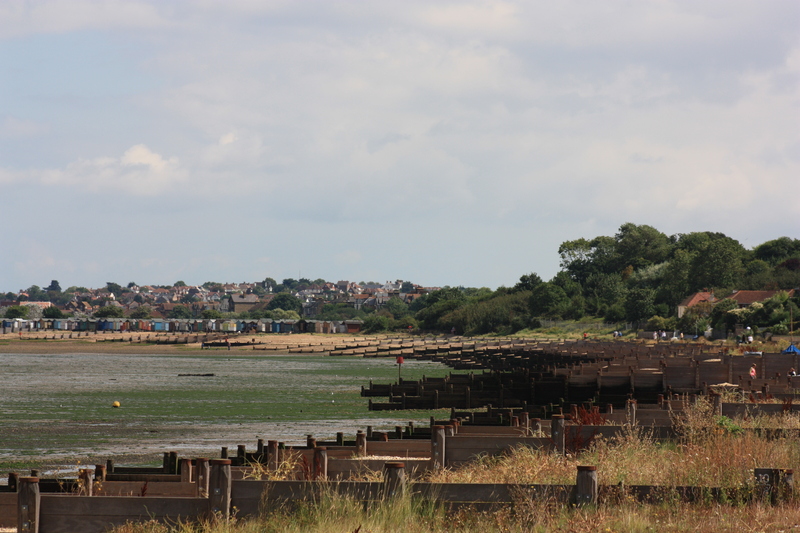 The groynes became better maintained, and the first of many terraces of beach huts came into view. 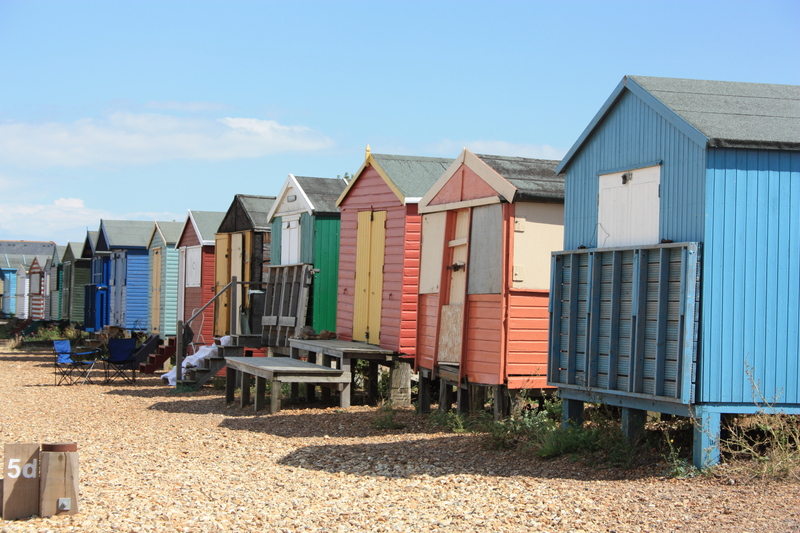 The Beach Huts of Whitstable are worth a mention. On the whole they were well kept, the standard getting better and better the closer they were to Whitstable centre. Many had been decorated to the individual styles of their owners. One in particular caught my eye – it had been adorned with faces, made out of driftwood, flotsam and jetsam. 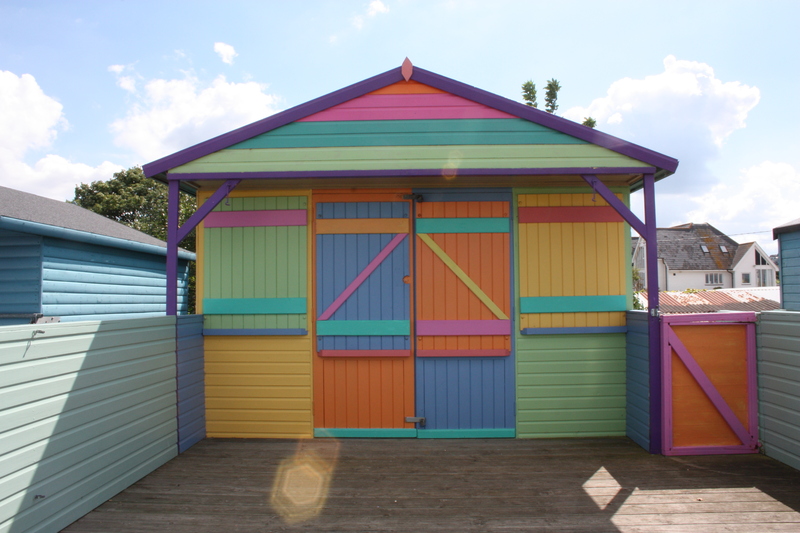 As we reached Whitstable, the decorative standard of beach huts improved considerably! 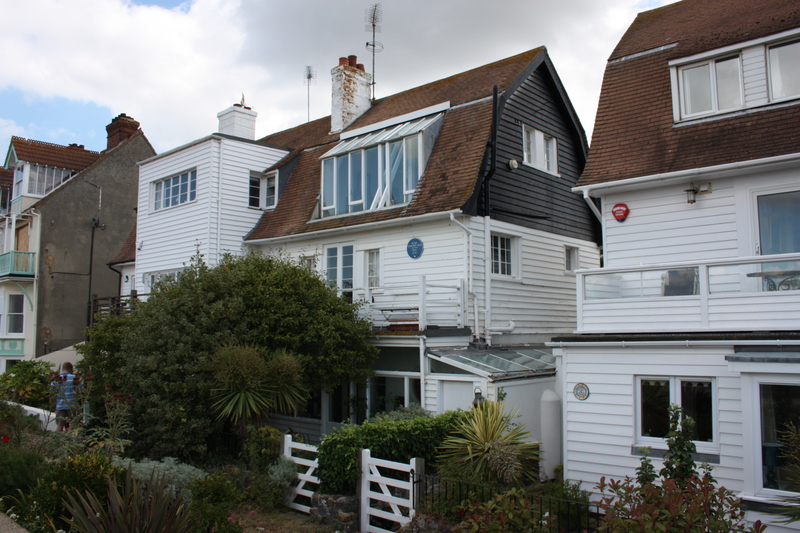 On the outskirts of the town we saw a blue plaque on one of the beachfront houses. The actor Peter Cushing OBE lived here from 1959 until he died in 1994. This part of the beach is known as “Cushing’s View”. What a lovely view it is! 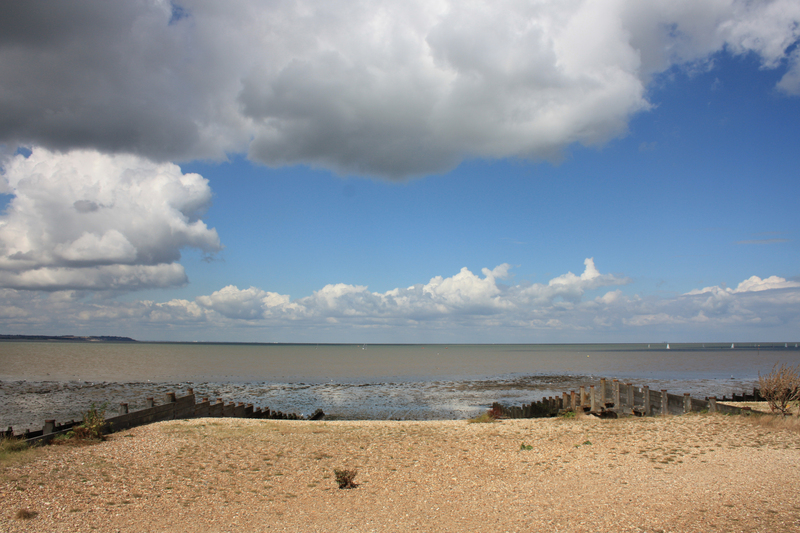 On the horizon, to the left hand side of the photo, is the Isle of Sheppey, where we had walked a few weeks before. 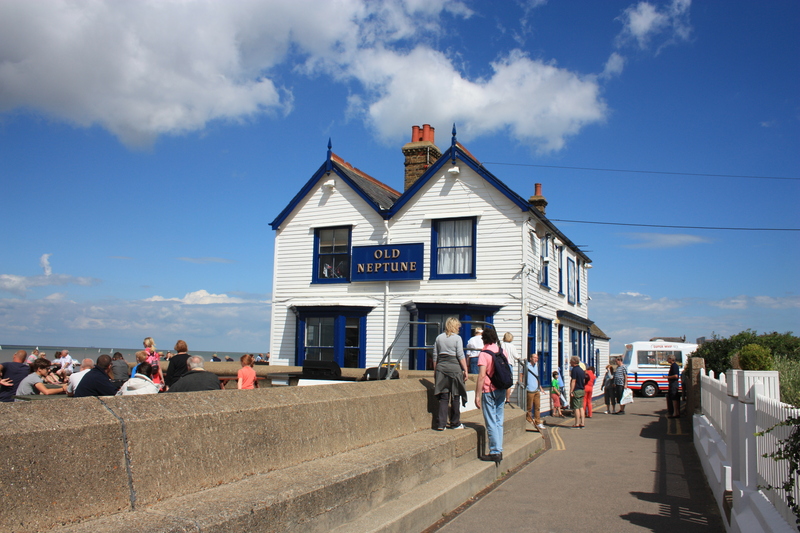 A short distance on was the Old Neptune Pub, where we stopped for a drink and a snack before carrying on. The whole pub sloped, just a little bit, in the middle. The floor sloped. Even the bar sloped! I wonder how many people, slightly worse for wear, have been caught out by this and asked to leave. Every good pub should have a slope, I think, so to catch out the slightly tipsy before they get any worse! CLICK HERE FOR LINK TO INTERACTIVE MAP!!! This entry was posted in Kent and tagged Battle of Graveney Marsh, beach huts, coast, Peter Cushing, Seasalter, travel, walking, Whitstable. Bookmark the permalink. Glad to be of help. Helpful Mammal. It’s in the name and everything.